“Have you considered the fact that maybe I was waiting for you to be over him?” Holy crow how swoony is that?!? 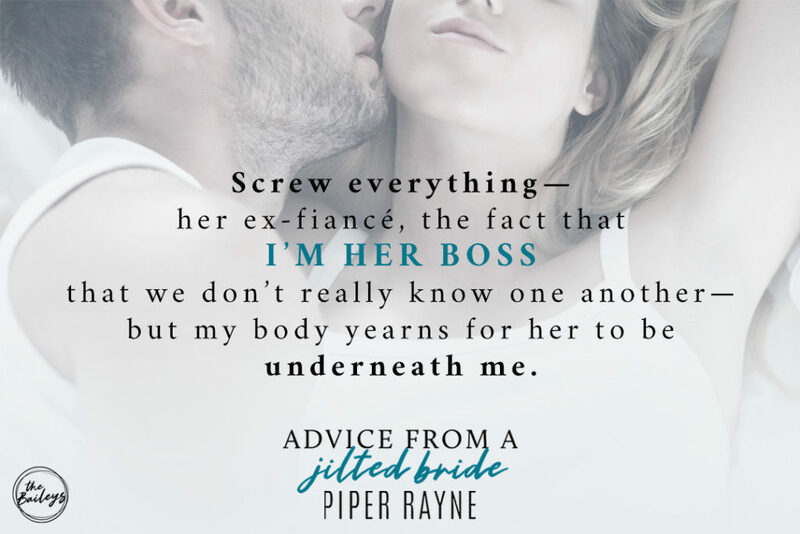 Advice From A Jilted Bride is the second book in the Baileys series. Piper and Rayne have yet again captivated and pulled me into their world of Lake Starlight. This is Brooklyn’s story. She is the third oldest Bailey. I like how Piper and Rayne are writing the stories that come to them and not just going down the line from oldest to youngest siblings. Brooklyn has been devastatingly been left at the altar. Broken up by text message! What a douchcanoe was her fiancé? You could tell that some of her siblings didn’t like the man and with good reason. Wyatt is trying to find his way in the world, he has come to Lake Starlight to prove himself worthy of his last name. To prove to his father that he is capable of running the family business. Meeting Brooklyn, in a painful way, puts a bit of a monkey wrench in said plans. But was his original plan worth it? I think not! I loved the slow burn of this story, the true friendship that developed between Brooklyn and Wyatt. 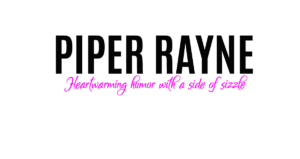 And yes, this is Piper Rayne’s longest book to date, but to do this story justice it had to be. You get to see all the Bailey siblings again and some new secondary characters that bring even more brilliance to this story! Love the angst, love the humor, love the romance and smexiness! You ladies have done it again!